FaceCulture I: What do you think of her (Anette Olzon's) singing style? Floor Jansen: I don't wanna give personal opinions about voices 'cause whatever I say is never really correct and it's for everybody personal but...I like the different twist that she gave, a different sound in order not to replace Tarja and her style so I understood that choice and both albums, I think, musically are amazing, really really great. 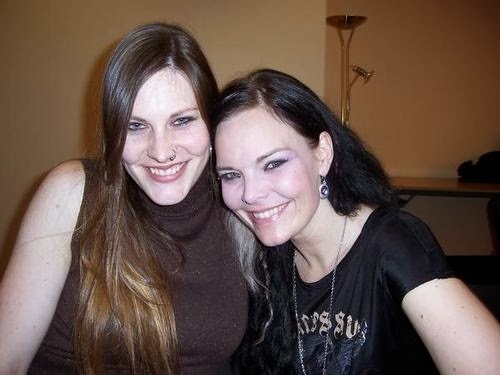 Floor Jansen > Tarja -> Anette.